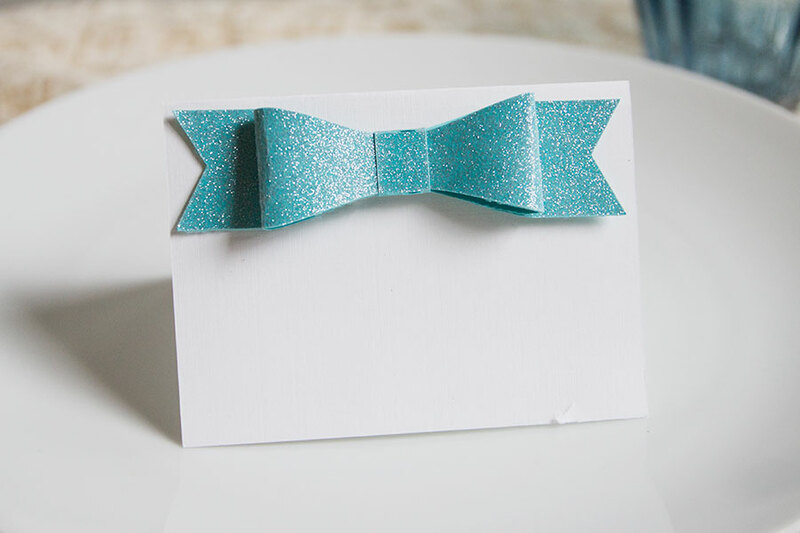 Bring a hint of sparkle to the table with DIY glitter bow place cards we made using our Silhouette machine. If you don’t have your hands on one yet, you can also make these by hand. Use your Silhouette machine to cut out this 3D Bow shape (you can also cut it by hand). Fold the bow into the shape and use the small rectangle piece to cinch it together. 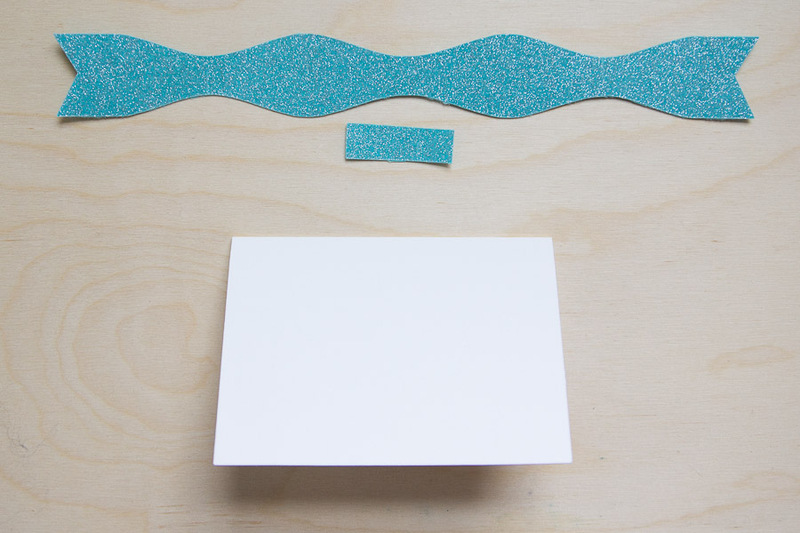 Glue it down to secure, and then glue it to the front of your place card. Once it’s all dry, use a calligraphy pen to write names. 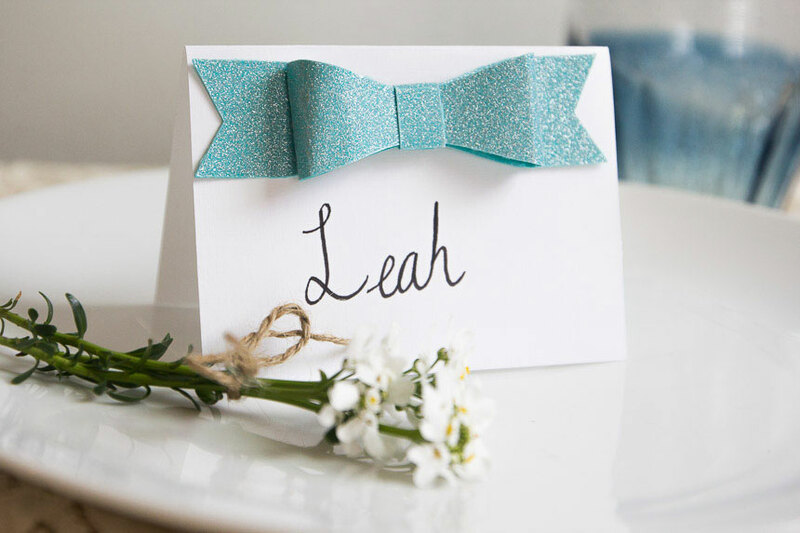 Top off your table setting with the glitter bow place cards and a small bouquet of fresh, spring blooms. 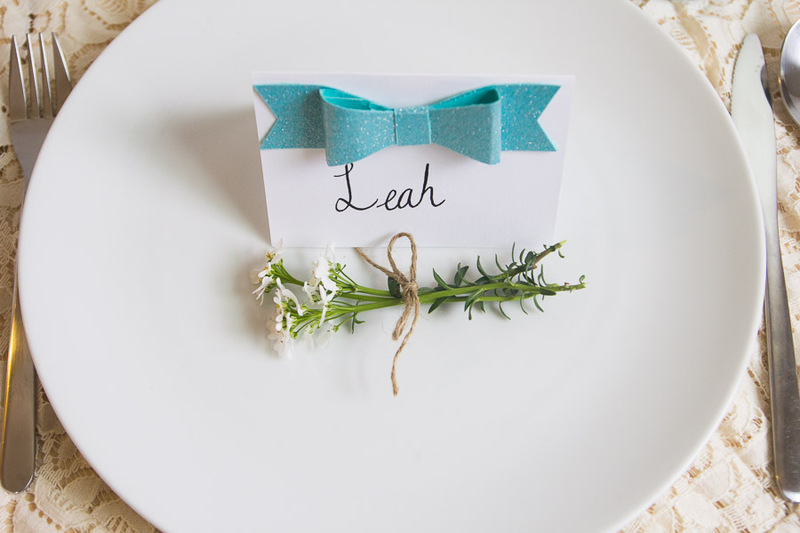 Place your pretty place cards on the table! I want to make as many clothes as possible this year! 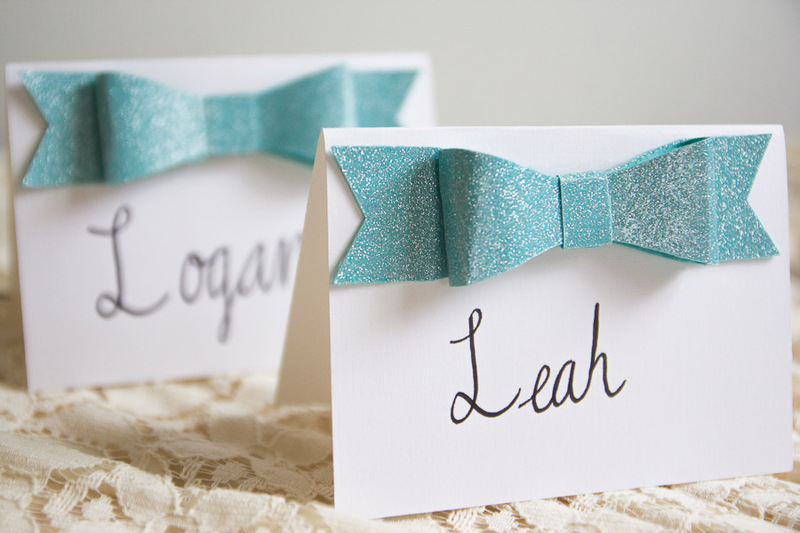 Very cute DIY place card idea! I would love to craft a banner for my birthday girl coming up in 2 months. I want to make a mobile for my sister’s baby’s nursery. I would love to make birthday decor for my grandson’s birthday party! I want to refurnish an antique sideboard that belonged to my Mom. I want to make a baby blanket for my friend’s newborn. I want to craft pop-up greeting cards for all occasions. I want to make some wall quotes in vinyl. I want to refinish my coffee table. I would love to craft so holiday cards and decorations. I would love to craft wall decorations for the kids rooms. I want to learn to make my own wooden signs with quotes painted on. I want to make a new scrapbook of family photos for my mom for Mother’s Day. I would love to learn how to craft a quilt and I would love to make one for my new nephew. Stuff to decorate my home with! We are having our housewarming party soon so i wanted to make some big puffy outdoor pillows t throw on the lawn and some lanterns for the trees and maybe some pretty decor for inside. I want to make some wall decorations. I would love to craft origami animals or three dimensional ornaments.